Dogs and cats become dehydrated quickly, so make sure they have access to plenty of fresh water and shade when outdoors. In fact, dog houses aren't ideal, as they trap heat. American Kennel Club (AKC) recommends filling up an inflatable pool for your pooch if he or she is spending the day outside. If it's over 80 degrees and/or humid, avoid long walks and asphalt or other hot surfaces, which can burn paw pads. Walk your dog early in the morning or in the evening, especially if you plan to run or play. Signs of heatstroke and dehydration include heavy panting, difficulty breathing, bright red gums or tongue, thick salvia, and unsteadiness. If you suspect your pet has heat stroke, act immediately. Give your pet water or ice cubes, move her to a cool location, and immerse or spray her with cold water - just be careful not to overdo it. Just like you, pets can get sunburned. "Dogs can get sunburned on their noses where they have no fur, in areas where they've been shaved, or if they're older and have a sparse coat," says Dr. Bonnie Brown, founder of the Gotham Veterinary Center in New York City. "You do need to put sunscreen on them." Consider using a kiddy sunscreen if you don't want to splurge on doggy SPF. Finally, never, ever leave your dog in the car, even if it's parked in the shade and the windows are open. Commonly used lawn products may be poisonous if ingested, so look for natural, non-toxic garden care products if your pet likes to nibble. Steer clear of treated areas on walks. 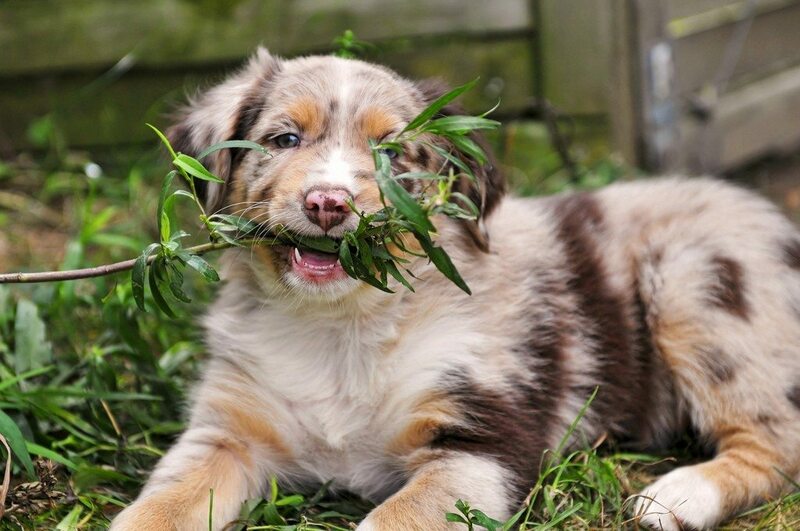 For a complete list of toxic plants for pets, check the American Society for the Prevention of Cruelty to Animals (ASPCA)'s database. Keep bug repellent, Citronella candles, and other insect-killing products away from pets. If you suspect your dog or cat has eaten something toxic, call the ASPCA/RSPCA Poison Control Center hotline or head to the vet immediately. While your pooch may love socializing as much as you do, you're less likely to be watching him closely at a busy party. 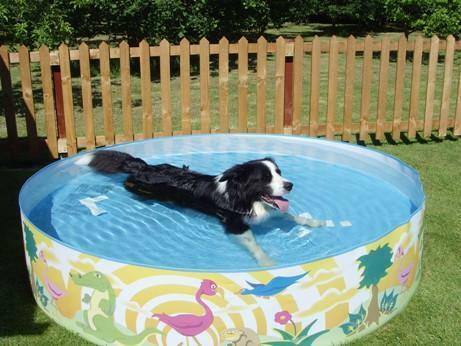 Hot grills and barbecues are a hazard for pets as well as open pools. Beware of human foods that are poisonous to pets, including alcohol, grapes, raisins, onions, garlic, chives, avocado, chocolate, macadamia nuts, and products sweetened with xylitol. 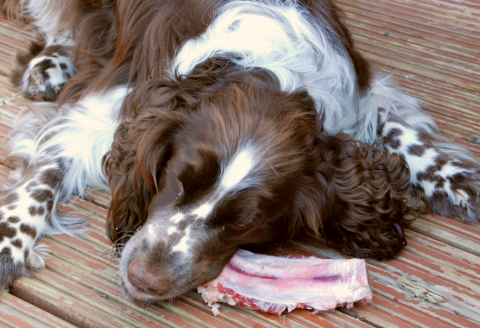 And always avoid feeding your dog raw or undercooked meat and bones as they may contain harmful bacteria. 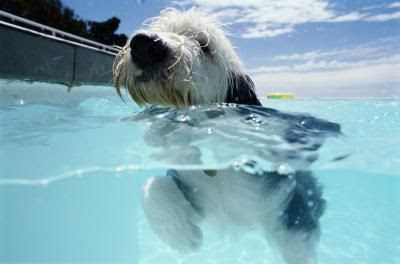 Never leave your dog unsupervised around a swimming pool - even if he's a swimmer, he may not be able to get out of the pool without help. Luckily, it's okay for dogs to drink some pool water! "Just like kids, dogs do sometimes ingest chlorine water or salt water, but they don't usually ingest enough of the water to be a problem... though sometimes it will make them vomit," says Dr. Brown. She also recommends rinsing off your pooch after swimming in a pool or ocean as both chlorine and salt can irritate a dog's skin. When it gets hot outside, we tend to open the windows, but it poses a serious hazard to pets, especially if not on the ground floor. People should not open a window without a screen. Planning to take your pet with you on a summer road trip? Never leave a dog or cat in a parked car or trailer. Dogs should not ride in the front seat, where they could be thrown against the car if you stop short or get under your feet. Dogs should have pet seat-belts. And don't forget that they need bathroom breaks, too. If you're planning to fly with a pet, be very conscious of potential overheating. Make sure your pet's crate is stocked with water and possibly even ice packs. And always talk to the airline about their safety procedures. It is sized correctly. There should be enough room for the animal to stand and sit in a natural position, turn around, and lie down. Some airlines require brachycephalic, or pug nosed dogs, to have a kennel an extra size larger for their safety. You should begin crate training as early as possible to ensure that your pet is comfortable in the kennel. Trying to escape and actually escaping from the kennel during the flight is the most common cause of injury for pets that fly. Some pets may take up to 6mths to become comfortable in a kennel, and some may never completely accept the kennel. If your pet does not become comfortable with the crate before the flight, you may want to reconsider flying your pet. If you are traveling to a foreign country, make sure that you have met all the quarantine and health requirements of your destination. In some cases failure to do so may cause your pet to be destroyed. Well, the best automatic pet feeder reviews works tremendously to support you when you have busy schedules. If you're a late riser and tend to rush off to work, this will come in handy as you might miss getting your cat or dog's food ready before you head off to work.